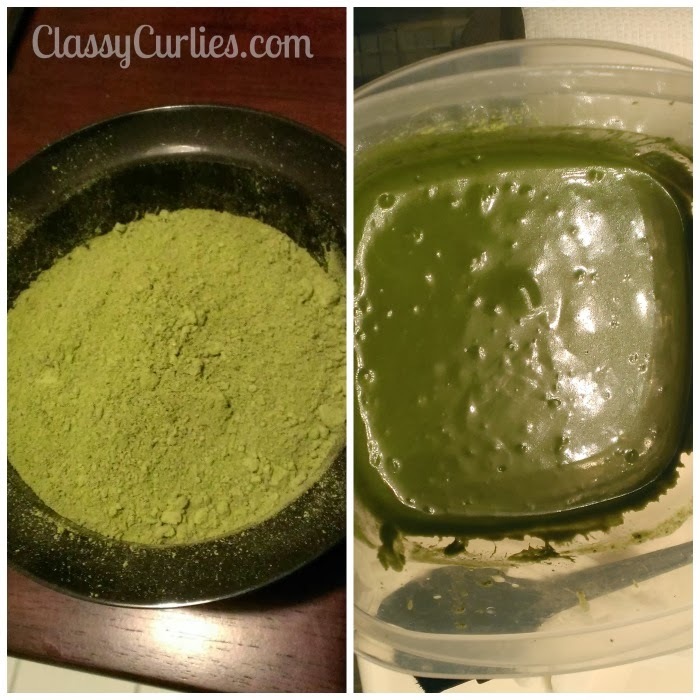 I finally got time to experiment with my organic Cassia Auriculata powder and it definitely left a good impression! Cassia comes from a plant and is not a form a henna although they look similar. 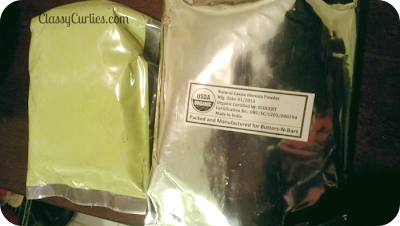 The leaves are grind into a powder to what you see on many natural and Ayurvedic websites. 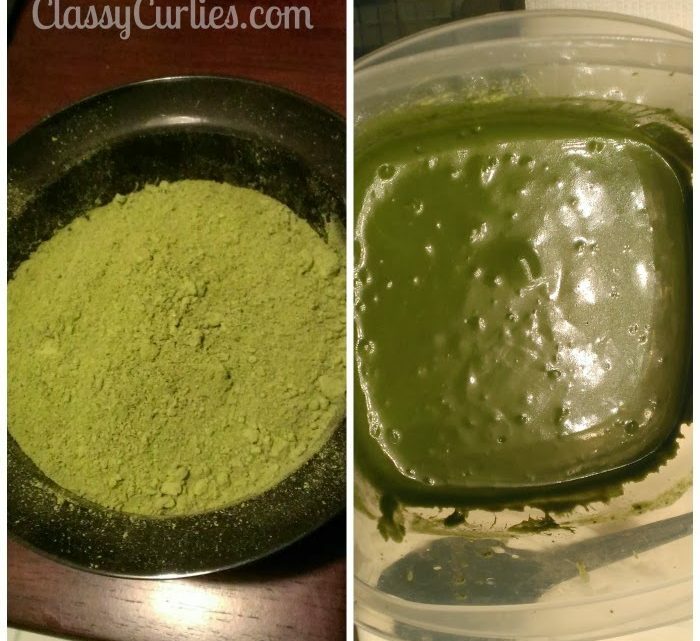 This powder is usually called “neutral henna” because it has the same effects but does not release a dye on dark hair. Gray hairs will usually turn gold. Like henna, cassia has similar benefits and serves as a conditioning agent. It adds shine, thickens and strengthens hair. 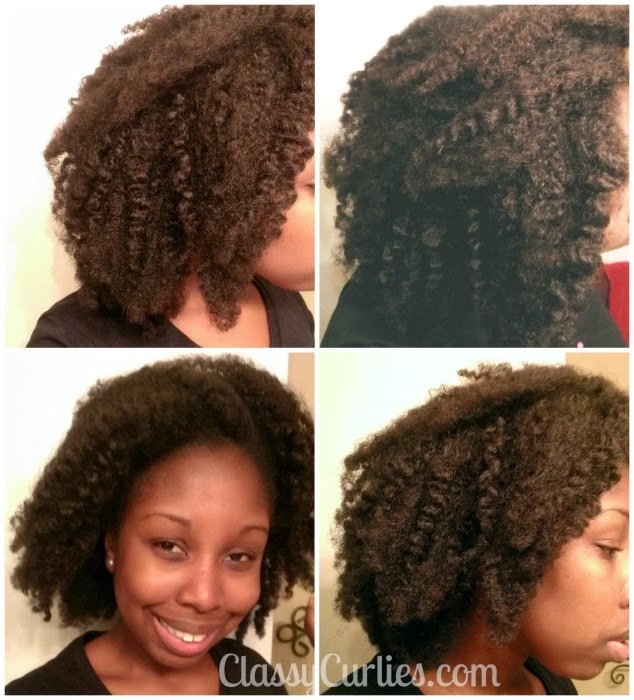 Many have said they’ve experienced less shedding and less breakage after using cassia. For the scalp it provides anti-fungal properties that help relieve an itchy scalp and dandruff. The benefits usually last for about a month. I washed my hair using an all-natural shampoo bar before starting. 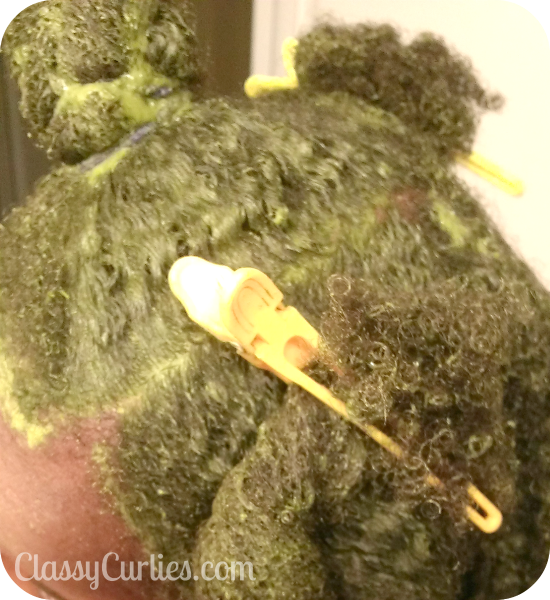 The dying brush was used to apply the mix directly to my scalp. To create the paste I combined 100g of Cassia, 1 cup of warm water,1/2 cup of aloe vera gel and 1/3 cup of Africa’s Best Herbal Oil. I mixed until I got a pancake-like batter. The aloe vera gel and oil added more moisture to the treatment. 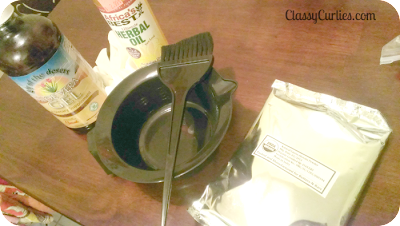 I applied the mix to both my hair and scalp then covered my hair with a plastic cap for 1 hour. I then rinsed for what seemed like years to be sure it all was washed away. 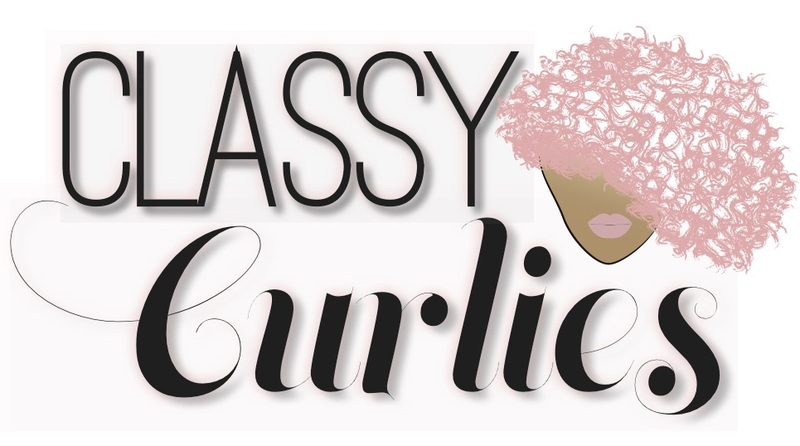 Similar to a protein treatment, it must be followed up with a deep conditioner because it leaves hair dry. 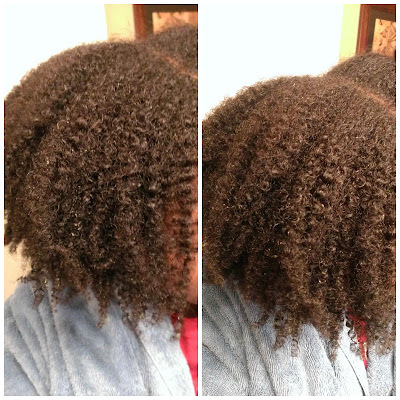 I used Dominique’s Best Shea Butter Conditioner. The conditioner sat on my hair for about an hour. 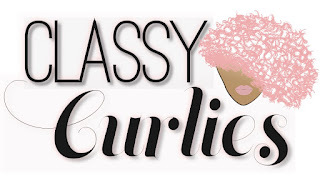 By the way: SIGN UP for the ClassyCurlies’ mailing list to unlock our free 8-page ebook on healthy hair rinses. This process was very similar to when I did my rhassoul and australian pink clay mask a few months ago. 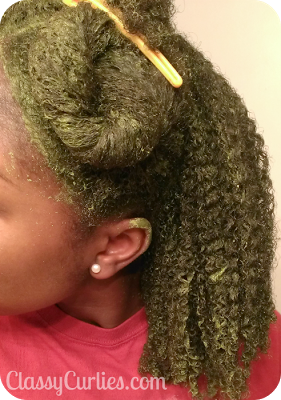 I did not experience permanent green hair nor did my hair color change at all. 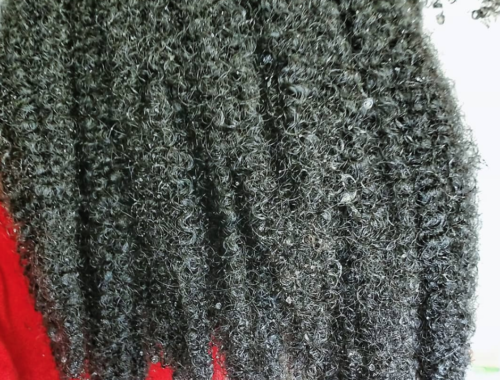 My hair texture did not loosen, if anything I noticed my curls seem more defined and popped a little more. I did experience the drying effect after rinsing but following up with a deep conditioner gave me amazing results. I didn’t expect the dark green color(of the cassia) lol but I went with it. One thing I did not like about cassia is the smell. It smells like strong freshly-mowed grass! Once I deep conditioned the smell disappeared. Overall I would definitely do this treatment again. The only thing that would stop me is time. This process is very time consuming but worth it.